One of the greatly purified hyaluronic acid injections is called Euflexxa. Like other knee cartilage injections, the purpose of this therapy is to lubricate and cushion the knee joint when synovial fluid is inadequate for proper health and movement of the joints. Osteoarthritis patients suffer due to the thinning of their natural synovial fluid. 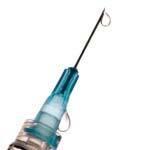 Euflexxa is generally given in three injections for three consecutive weeks. Discomfort may diminish after the first injection. However, it may take all three treatments before noticeable results. This particular form of treatment is known to give months of pain relief. And, it cannot be repeated before six months from previous round of injections. With any medication, there is a potential for side effects. Euflexxa injections side effects have been claimed to be minimal. However, there are a few which possibly exist with treatment of euflexxa injections, rooster comb injections or any other hyaluronic administered treatments. Although hyaluronic acid is tolerated well by most, there have been incidences of localized swelling and pain at injection site. Other euflexxa injections side effects may include redness with bruising and swelling. Headache and diarrhea, purple or red skin patches, lack of appetite, stomach discomfort with possible nausea with vomiting, and knee swelling are among common euflexxa injections side effects. Some side effects which are uncommon include tenderness or pain accompanied by itching, skin redness and flushing, feelings of dizziness, itchy hives, nasal congestion, facial swelling, difficulty breathing, and wheezing. To help ease the potential of euflexxa injections side effects, it is suggested that activities such as playing a game of tennis or jogging through the neighborhood should be avoided for at least 48 hours after the actual injection. Although there are common as well as uncommon side effects from hyaluronic treatments, many are willing to tolerate any minor inconveniences when it comes to easing the severe pain of osteoarthritis.